Marketing Automation has changed the future of our industry. It is an extremely powerful tool to get the best results in a very efficient way, and we haven’t even started truly exploring all the possibilities it offers marketers. Automation can be applied to a variety of different steps along the sales process - including some you wouldn’t even think - and today I am going to address one of these in particular: client conversion. The power of personalizing conversations with clients. What people need are products that satisfy their needs and solve their problems. Rather than ads, they need advice to help them make the best decision - hence the power of word of mouth. The digital world is bursting with noise and activity, and users are become increasingly more skeptical towards advertising content published by brands themselves. What they search for are experiences between people and brands, not brands giving speeches and pitches about themselves. According to a recent study by ModernComment, 90% of consumers search for reviews before buying a product, which explains the incredible success of online review forums and websites. In the end, what these consumers are looking for is nothing but some friendly advice. Who has never asked their Facebook friends for their opinion on the best smartphone to buy or restaurant to go to? Friends offer trustworthy opinions, entirely adapted to their taste and preferences. But what if brands themselves could offer quality and trustworthy recommendations, on a grand scale? The goal of using marketing automation in conversations with clients is to keep the “one-on-one” quality while also being able to increase the recommendation scale. Third-party opinions on websites like Amazon and influencers can be a good way to offer this kind of experience, but they are not risk-free. In the end, what brands really want, is to be able to have highly personalized conversations with clients during key decision making moments, or in other words, start giving advice rather than showing ads. So how exactly do we apply marketing automation to personalized conversations? According to AdWeek, there are 3 basic steps to take into consideration when applying this strategy. First hand data. This is data data we have collected directly from our users, for example, through our website or app analytics. We control them and they are a very valuable and relevant source of information, so be sure to make the most of them. Data from other companies. This is as simple as buying the data off of other companies. This kind of data exchange usually happens between collaborating companies, in order to, for example, analyze the same audience together. Third-party data. This is data that has been collected by an external provider from various sources, and that we can purchase. Careful! Not all databases out there follow the same quality standards. With all this information, you will have to run your best analysis to identify your key audience and their preferences. The goal here is to identify the most appropriate contact methods for each audience, or in other words: when they are open to hearing from us, and what tool we should use to reach out to them. Ideally, what we are looking for is a series of contact points that move the user down the conversion funnel. We will need to elaborate a different strategy for each point of contact and each audience. If you really want your marketing automation efforts to hit home, you have to have a credible personality. Don’t forget we are to talking to clients, and nobody wants to have a conversation with a robot. In order to have personalized conversations on a large scale, you need to have a solid and reliable guide that is prepared for any kind of situation. 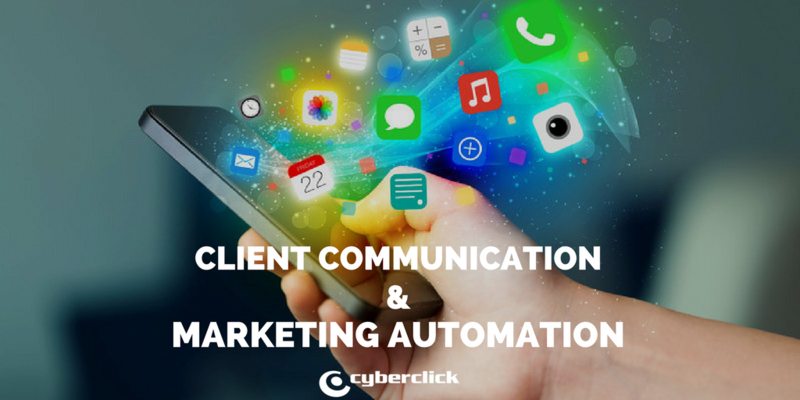 You also have to adapt your tone and expressive language and resources to each of the channels through which you are going to communicate with your clients.